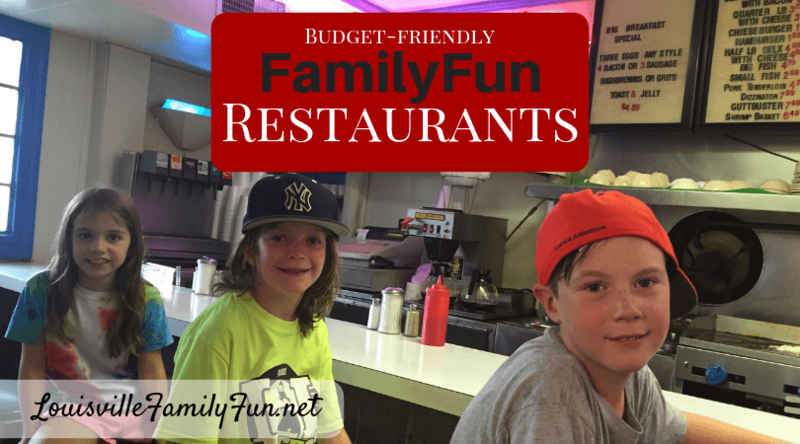 Family-friendly restaurants in Louisville, Kentucky: Budget-friendly too! Looking for a family-friendly restaurant in Louisville? These locally owned restaurants not only provide a great atmosphere for families but also make it possibly to stick to a budget! Here are ten excellent family-friendly restaurants! 10. Shiraz Mediterranean Grill has three locations in Louisville. This is a great place to take the family for a healthy fast food alternative. My whole family can eat here for around $30, and my kids love the chicken kabobs. Click here for locations and menu. 9. Butchertown Pizza Hall is a pizza joint with a laid-back atmosphere that makes it perfect for a family dinner. Their pizza slices are huge and they have a big open space that makes for great casual dining. And, in a separate room, they have some throw-back video games that are fun for everyone. 8. WW Cousins is a longtime family favorite. My kids love being able to pick what they want on their burgers from the huge selection on the dressing bar, and the salad bar is pretty good as well. This is another place we can usually dine for under $30, and my kids really enjoy the huge tree in the middle of the restaurant and they offer Kids Eat Free on Monday and Tuesday evenings. Click here for more info. 7. Another burger joint that will not disappoint is Dizzy Whizz. Kids love eating inside at the counter and getting a look at all of the action in the kitchen. Plus, they have really delicious milkshakes! 6. Bearno’s is a notable family-friendly restaurant in Louisville, and with multiple locations there is bound to be one near you. Pizza is the ultimate dining-on-a-budget cuisine, and my family usually eats at Bearno’s for around $25-30. Click here for locations and menu. 5. Vietnam Kitchen has an extensive menu of noodles, dumplings, soups, and other great Vietnamese dishes. Everyone raves about it! The most expensive thing on the menu is under $14, with most being under $10. Click here for more info. 4. Kingfish on River Road gives the opportunity for inexpensive family dinners along with some inexpensive family fun in the summer. You can dine in the restaurant for around $30-35 (even less if you take advantage of some of their specials), or you can go to the carryout window and take your food to the picnic tables by the river. In the summer, they host summer concerts quite often! Click here for more info. 3. Goose Creek Diner is a wonderful family-friendly restaurant to take everyone for country-style cuisine, including chicken potpie, country fried steak, and excellent fried chicken. Dining on a budget here is certainly doable but challenging since you have to walk by the dessert carousel on your way in. Their Sunday brunch is the best deal since kids 5 and under are free and pricing is even better if you go early from 9am-11am. Click here for more info. 2. Noosh Nosh is a fun atmosphere with a very cool oven that not only functions as a primary cooking spot but a focal point for their decor. In the summer months, there’s a small outdoor area for dining and eating outside always leaves a little more wiggle room for young kiddos. This family-friendly restaurant’s menu has shareable items that allow you to work within your budget. son loves the beef burrito and my youngest loves a plain cheese quesadilla. The staff are always friendly and the service is great. 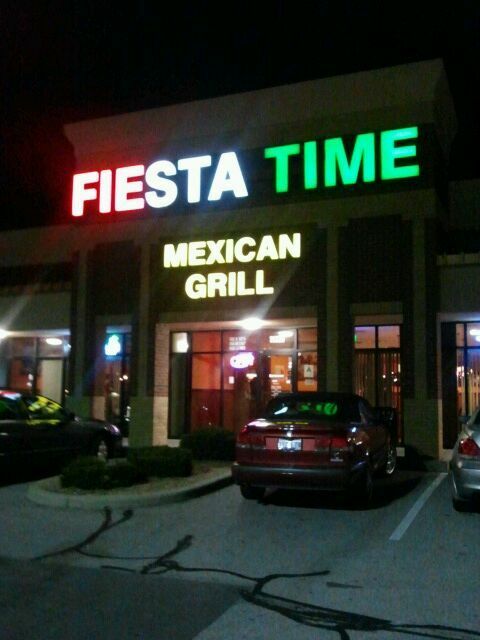 Fiesta Time is located at 11320 Maple Brook Drive. Call (502) 425-9144 for more info. Looking for more food-related information? Click here.